Yong has a background as a medical doctor and has practised for some years in hospitals in China. He immigrated to NZ in 1990 and since then he has owned and operated many businesses, including a takeaway, café, restaurant and supermarket. He has had many year’s experience in New Zealand as an award winning business broker and brings a strong business broking background to lead the LINK North Shore team. His success is built on relationships based on outstanding ethics, great communication skills and aiming to exceed the client’s expectations. He has been recognised by winning many business awards and previously has hosted a regular programme on Chinese radio and written many articles for Chinese publications. 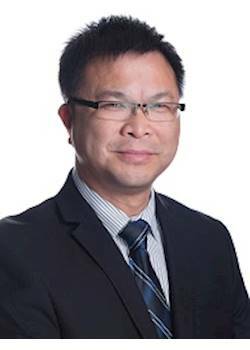 He is involved in the Chinese Community and is keen to build relationships in the North Shore community. Yong enjoys working with a variety of people and helping others to achieve their own goals and make their dreams a reality. He is very experienced and knowledgeable about the business buying and selling process and is happy to assist you in the process from “start to completion”. Yong is also fluent in Mandarin and Cantonese.